From Rolls-Royce to Bentley. We have the perfect wedding car to compliment your special day. Take the stress away from organising your luxury vehicle and let us make your wedding day stress-free and memorable. 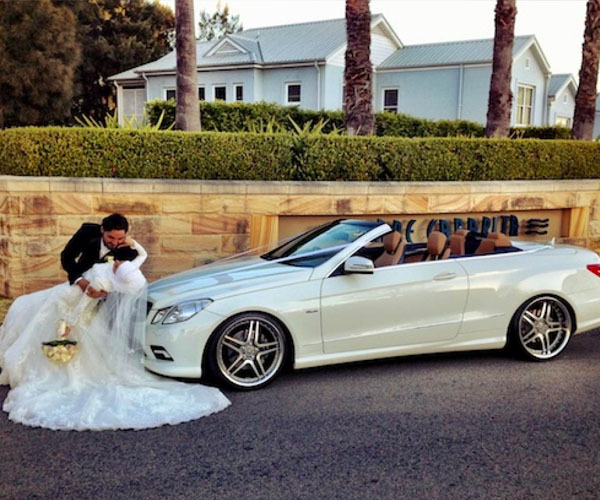 Starr Luxury Cars is the perfect choice if you’re looking to hire a car for a wedding anywhere across the country. With the largest fleet of prestige wedding hire cars in the UK, you can find a car to suit any colour theme, style, taste or budget, each driven by one of our executive chauffeurs to make sure the travel on your big day goes without a hitch. From the most popular wedding cars to the vintage or truly unique, we can provide the ideal make and model to accommodate your tastes. Having supplied chauffeur-driven cars for many weddings across the years, we understand that each day and venue is different and will work with you to ensure you have the perfect wedding travel experience. This includes providing you with flexible payment options, a whole host of optional extras and accommodating for any religion or culture. Talking through the details of your big day in advance, we will ensure to arrive on-time in smart and professional dress, providing relaxed and efficient travel whilst also allowing for plenty of photo opportunities. We will always go above and beyond to accommodate for specific requests, one of the reasons for our great reviews and outstanding reputation. Quotes given are for a typical 3-4 hour wedding. With our vast fleet including Mercedes, Bentley and Rolls-Royce rentals, we have access to and can provide some of the most popular wedding hire cars in the UK. We know that transport is just one of many things you need to organise for your big day and can accommodate by providing flexible payment options at affordable prices, requiring just a 25% deposit to secure the perfect vehicle. Each is immaculately maintained both inside and out to ensure you enjoy a truly luxurious journey as well as get the stunning wedding photos you envision for your big day. Regardless of your wedding venue, we can pick you up in the stunning prestige car of your choice, from London to Edinburgh and anywhere in between. 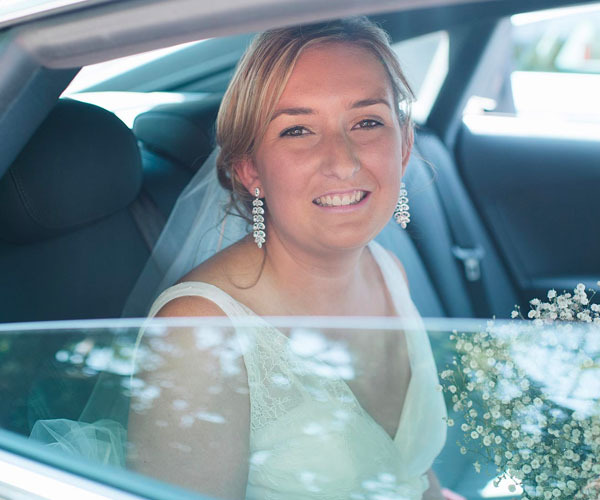 We recognise that the day of your wedding will be the most important day of your life and strive to enhance that by providing the very best chauffeur-driven wedding transport possible. From the ever-popular Rolls-Royce Phantom hire car to the stunning Bentley Flying Spur, our prestige models are sumptuously comfortable and provide the perfect backdrop for your formal event, fitting in with your dress, venue and tastes. Each is available in a range of colours, from the classic and popular white and ivory to the sleek black and navy blue, allowing you the freedom to select the perfect model for you. 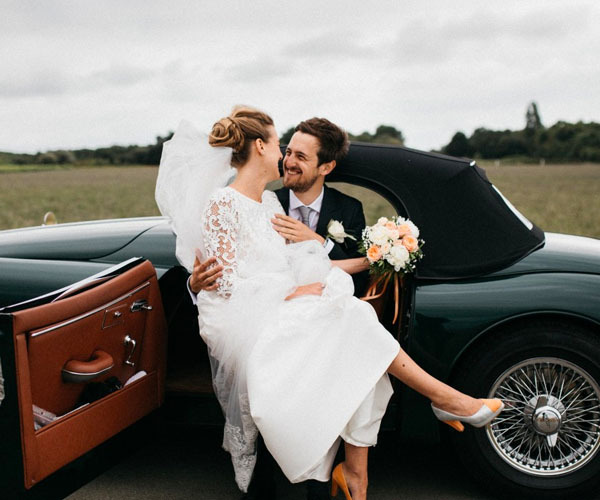 From the stylish and elegant to the strictly traditional, as well as the latest models and newest releases, our beautiful rental wedding cars include vintage classics, such as the stunning classic Beauford in either white or ivory as well as the 1960s classic Roll-Royce Silver Cloud. Not only have these been extensively maintained and well kept for a perfect luxury car which looks as if it has been frozen in time, they make for one of the most impressive arrivals for any bride or groom. We store our prestige hire cars up and down the UK and cover Manchester, Birmingham and Essex to name just a few, always ensuring that you can get the ideal model for your wedding day, regardless of where you’ve selected to get married. If your planning for your wedding to be anything but traditional, Starr Luxury Cars is also one of the best places to book unique and modern wedding transport. We are proud owners of some of the most expensive and rarest cars in the world, including record-breaking Bugattis and rarely seen Koenigseggs. Surprise the groom with a luxury hire sports-car to arrive in at the venue, a modern twist on a classic wedding gift from the bride or book a self-drive two-seater supercar to leave the ceremony as true VIPs, ticking something off the bucket list in the process. No matter the look and feel you have in mind, our knowledgeable team can work with you to ensure you get the perfect hire car for your wedding day. Starr Luxury Cars is located in the heart of Mayfair and has been providing the very best in luxury wedding chauffeur driven vehicles for many years. We have been responsible for arranging the very highest quality luxury vehicles for hundreds of weddings since we began. You can be assured that using our luxury chauffeur wedding service will be a stress-free experience to allow you to be able to enjoy the day without worry or care. We cover the entire city of London with our bespoke and luxurious range of chauffeur driven wedding cars. 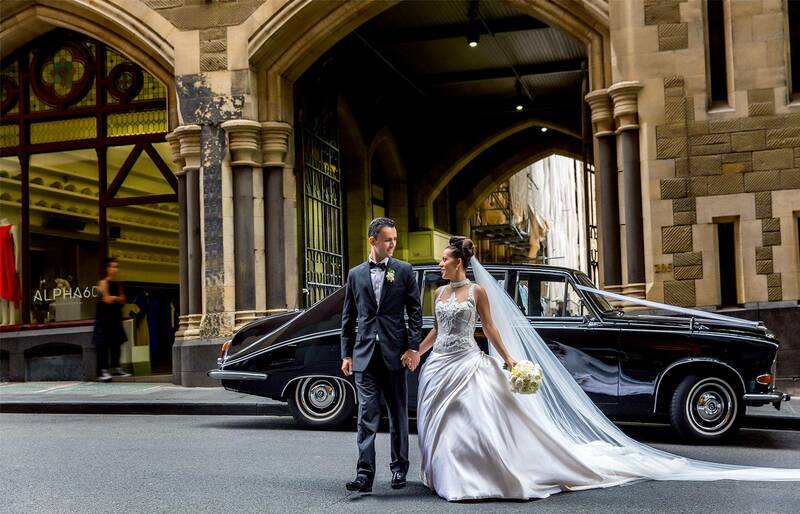 Get the most important transportation of the day organised by booking a prestige wedding car from Starr Luxury Cars. We can accommodate nearly every request, taking the bride and her father to the ceremony venue, providing a luxury transport service in between and of course, making sure that the bride and groom begin married life together in beautiful and comfortable surroundings. Our expert team will spend time talking through the details of your big day with you alongside any special requests, organising complimentary wedding ribbons in the colour of your choice to make sure your wedding transport is everything you imagined. Take a moment to yourselves and unwind whilst your executive chauffeur concentrates on the journey ahead for you. Whether you need luxury transport to take you back to your suite for the first evening together as a married couple or you’re planning to head straight to the airport to jet off on a five-star Honeymoon experience, our expert team will put together the perfect itinerary to suit your needs, allowing you to get the most from your wedding day without needing to worry about the schedule. You can make sure the bridal party are included as part of the overall vision for your wedding day by renting several luxury cars to create your own miniature luxury wedding fleet. You may like to hire matching cars for the bride, bridesmaids and groomsmen or consider our executive travel options, including some of the most spacious and newest Mercedes rental cars on the market, for a sleek, efficient mode of transport to suit all budgets. Each car can fit in with your theme with matching or complimenting ribbon colours, included in the quoted price. Not only will this allow you to rest assured that your main guests will be at the venue in good time, you can also relax, knowing that your closest family and friends are experiencing the same outstanding service and care as you. Our hand-selected chauffeurs always reflect our morals and high standards, putting the comfort and experience of you and your guests before anything else. You can arrange for us to wait at the wedding ceremony and reception venues, being on call for the entire day or book us for as many hours as you need to suit your requirements. As well as catering for the wedding party, Starr Luxury Cars can also help to make sure your guests are well catered for in terms of travel. Whether you need to travel between venues for the wedding ceremony and reception or want to get your guests to and from their hotel in true comfort and style, you can hire luxury cars for wedding guests from Starr Luxury Cars. Our prestige models include the luxury Mercedes V-Class hire car which can seat up to eight and we have plenty available to suit both small and large groups. The perfect alternative to cramped, standard minibuses or coaches, wedding guests can relax with ample space, surrounded by impressive technology and the finest quality materials you want to be associated with your big day. Each occupant will be treated as we do our individual clients, being made our number one priority to make sure your wedding travel is talked about for all the right reasons. We also provide complimentary bottled water with all our chauffeur-driven luxury cars to keep your guests hydrated and refreshed, ready to continue your wedding celebrations at the next venue. We have provided some of the most beautiful cars for weddings for many years, always updating and perfecting our offering to make sure our clients have the luxury experience you deserve. However, we also understand that each couple is unique with different tastes and ideas of what makes the perfect big day. To help you get the most from your prestige hire car experience, we provide a wide range of optional extras to make the wedding journey as perfect as you had pictured. These can include luxury champagne for the bride and groom or wedding party, soft drinks to help you rejuvenate en route or even child car seats to ensure the safety of the smallest of wedding guests. Starr Luxury Cars provide one of the best UK wedding car hire experiences alongside an unbeatable service, enhanced by our outstanding customer service team and professional chauffeurs. Whether you’re looking to hire a traditional wedding car or looking for something a little more unique, get in touch with us today to talk through your needs and dates and secure the luxury wedding transport of your dreams.